New Neighborhoods has been awarded a $10,000 grant from First County Bank Foundation! This donation will help us provide valued programs and services to the people and communities we serve. 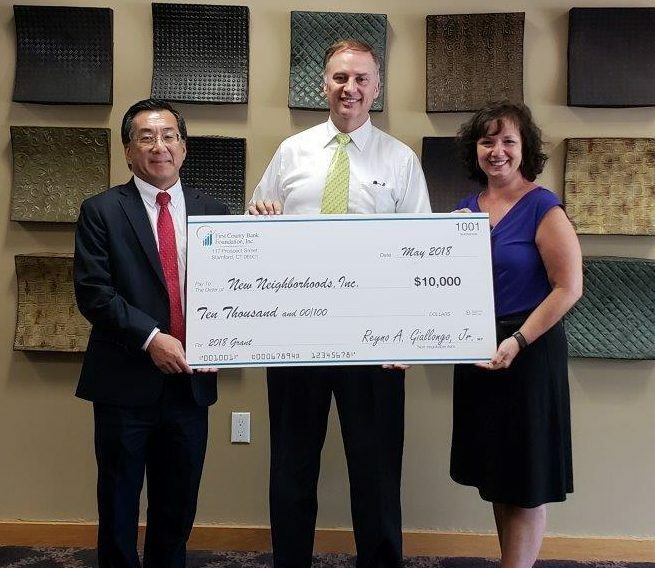 Pictured above is Michael Yao, Vice President Senior Commercial Banking Officer , William J. Healy II, President & CEO, New Neighborhoods, and Anna Maria Pace, Assistant Vice President, Branch Manager. We are so appreciative of this generous donation.